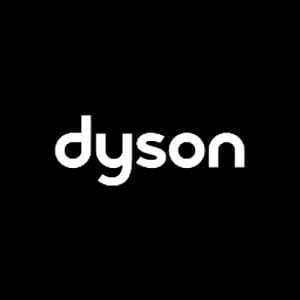 Cleaning and maintaining wooden floors or hardwood floors, as they are sometimes referred to, can seem quite daunting. I used to try and avoid the responsibility by covering as much of the floor area with carpets and rugs as possible and foolishly thinking that would keep the wooden flooring safe. However, irrespective of whether you lay a carpet over a hardwood floor or keep it as it is, you need to clean it regularly and maintain it in order to ensure it has a long lifespan. This is important because replacing wooden flooring can seriously pinch your pocket. Before I tell you how to clean a hardwood floor, you first need to be sure about the type of hardwood finish you have. Is it a prefinished floor or a stained/unfinished floor? Does the floor sport a wax finish? Does it have a surface seal? What type of surface seal does it have? Most modern hardwood floors have a coating of polyurethane, polyacrylic or urethane. This makes the floor resistant to water damage and stains. So, these are relatively easy to clean. Whereas, older hardwood floors generally used to have lacquer or varnish finish. These, along with wooden floors with a wax finish, are more prone to damage from water and cleaning stains is a lot more challenging. Then there are the prefinished floors. These have a high-quality surface seal on individual boards. However, the issue arises from the fact that once these boards are installed, tiny gaps remain between each board, and water can seep in through these gaps. Microfibre mops are more effective than regular brooms because they trap the dust and other debris, including pet hair via static electricity. This ensures a more efficient cleaning. In addition, microfibre mops are gentler on the wooden floors than broom bristles. Thoroughly vacuum the floor once every week. However, make sure that you use a floorhead with soft bristles. 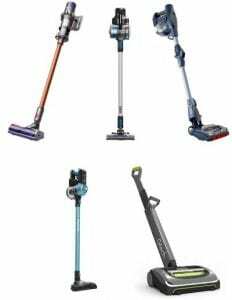 A number of modern vacuum cleaners provide special attachments for cleaning hardwood floors. One other thing to keep in mind is that if you need to move a few pieces of furniture while vacuuming, then make sure the furniture legs have soft padding underneath. This will prevent scratches and bruises on the floor. Similarly, the wheels on the vacuum might scratch the surface if it’s dragged around too much. So, be careful about that. 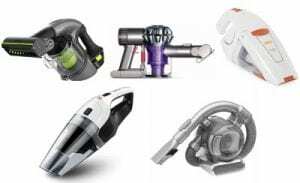 Alternatively, buy a vacuum that’s light and can simply be picked up and placed in a different spot, as you move around a room. This is optional. First, you need to check the recommended care manual of the manufacturer to determine if a hardwood floor cleaner should be used at all on your type of floor or not. If it’s safe to use, then lightly moisten the microfibre mop with the hardwood floor cleaner and clean the floor, once every month. Pick a cleaner that’s specifically meant for hardwood floors. Also remember, never use water to mop the floor as it can damage the surface sealant. The first thing you need to do to ensure that the hardwood floor(s) in your home remains in top condition for a long period of time is to follow the cleaning routine mentioned above. The cleaning routine is quite straightforward and doesn’t require any extravagant effort on your part. The protective seal on your hardwood floor gives it the sheen, besides making it easy to clean stains and prevent damage due to water spills. However, over time the sheen naturally wears off and marks of wear and tear become visible. Thus, it’s important to polish the floor after every two to three months to maintain the sheen. Depending on what type of seal you have, the method or rather the tool you can use to polish it will vary. For example, you can use a microfibre buffing pad to polish polyurethane surface. Check the care manual provided by the manufacturer and use the polishing product recommended by them. The manual will also include polishing instructions. The buffing pad will be able to restore the shine on the floor for a few years, but eventually, you will have to apply a new coat of surface finish. Typically, this is done after three to five years. However, you might have to do it earlier if the foot traffic in a particular area of the house is high. Also, if the floor has a lot of deep scratches or marks, then you will have to first sand it and then refinish it. Remember that prefinished floorboards can’t withstand multiple sandings. I would also recommend that you hire a professional to take care of both the sanding and refinishing unless you’ve done it before and are confident of doing it accurately once again. Deal with water spills (or for that matter any other form of liquid substance such as coffee, wine, milk, etc.) immediately. Blot up the water or any other liquid substance with a bunch of white paper towels, followed by wiping the floor dry with a microfibre mop. In case of substances like coffee or wine, which can leave a sticky residue, moisten the paper towels and wipe the floor with it, followed by a dry wipe using a microfibre mop. Place rugs or mats in front of doorways to prevent debris that can scratch the floor surface from entering the house. During the winter months, use a humidifier in the rooms to prevent the floorboards from shrinking and exposing gaps between them. If the kitchen has wooden flooring, then place a rug under the sink to prevent water from pooling and damaging the wood. Wooden floors look beautiful and lend a distinguished air to a house or apartment. You need to take proper care of it to ensure that remains the same for a long period of time. If you have any doubts, consult the care manual provided by the manufacturer or seek professional advice. How Do You Get Burn Marks out of a Carpet?